With the increase in vehicle weights, some many of the listed bridges throughout the UK are starting to show signs of distress in the arches. Working with Jacobs, Condor Projects Ltd has developed a system for strengthening the bridge arches using GRP anchors and as specialised thixotropic grout. This system has a great many advantages, including the ability to modify the length on site. It is also the most cost effective solution available, costing a fraction of some of the brand-named anchors being sold into the UK market today. Condor Projects Ltd also undertakes stone repairs and pointing work ensuring these important historical focal points are both fit for purpose and retain their natural look. 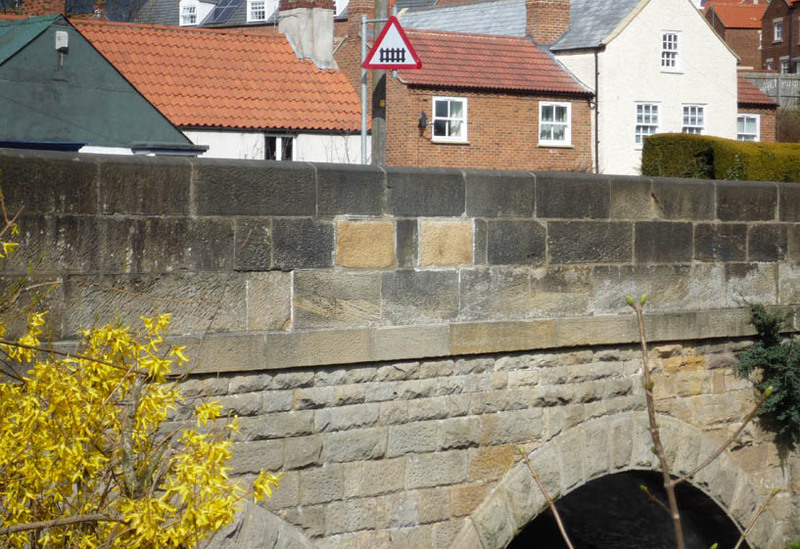 Literally dozens of bridges particularly in north Yorkshire and Durham have been attended to by Condor and it remains a real strength of the business and dovetails easily with the growing amount of concrete repair work being undertaken. 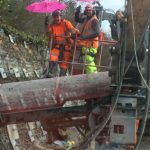 Holes were drilled to 4.1m using handheld using a pneumatic rotary drill and diamond core bits. Using GRP anchors which were inserted into each hole, the full arch was pointed and grouted, which solidified the arch. The first holes of each arch took significant amounts of grout and the grout appeared to be filling any small voids behind the stonework. All the remaining holes took the calculated amount of grout. We are therefore confident that we filled all anchors and the job to have been successful. The cores were then inserted back into the stone and bonded to keep the natural look of the bridge.